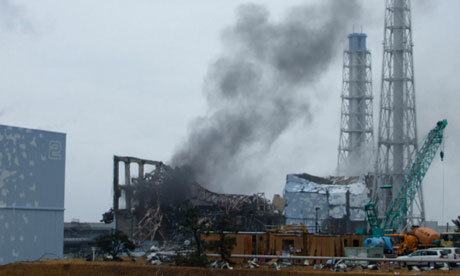 As Fukushima revealed, the Japanese nuclear industry had a very cozy relationship with regulators. That kind of coziness is not unheard of in the U.S. context, either. After the Three Mile Island accident, Congress divided the responsibilities of the Atomic Energy Commission, giving its mandate to promote nuclear power to DOE and its regulatory authority to the Nuclear Regulatory Commission (NRC). But in terms of creating an impartial regulatory body, this move was at best a partial success. After the task force issued its report in July, Jaczko moved to make its 12 recommendations public and implement them promptly. In my view, it is short-sighted to try to protect the industry by proclaiming its absolute safety and refusing to take precautionary measures against possible catastrophic system failures. In fact, no system can be absolutely safe, and pretending otherwise merely sets the stage for a total loss of credibility when the “black swan” does come to visit. For those who don’t know the metaphor, it used to regarded as axiomatic that all swans are white, until black ones were discovered in Australia — similarly, black swan events are ones that are considered impossible until they actually happen, like the financial meltdown of a few years ago. It is hubris to think that we have anticipated all possibilities and that black swans are impossible.